In our last post, we talked about the importance of content marketing in today’s online world and the first steps that you need to take to begin creating a successful content marketing initiative. To continue this discussion, let’s take a look at the next step, creating an editorial calendar. Creating an editorial calendar or plan is one of the most overlooked steps when it comes to creating a successful content marketing campaign. Choosing to ignore this step can be costly to your business in the long run. Having a calendar on hand is going to assist you in being organized, and it will prevent you from accidentally forgetting a step in your marketing plan. An additional benefit to having an editorial calendar is that it is going to allow you to take note of industry events, holidays, marketing themes, etc. and to plan your campaign initiatives around these events, which can allow you to maximize the profits that your business enjoys. Bear in mind that your original editorial calendar may need to be adjusted once you have begun to put it to practical use. Now that all of the preplanning is out of the way, it is time to get down to the meat and bones of your content marketing campaign – creating the actual content. This is where the magic is going to happen. Just some of the types of content that you will be able to use to your campaign’s advantage include blog posts, infographics, slideshows, podcasts, and so much more. This is the point where you can let your imagination take over. It is going to be important for you to identify exactly who is going to be creating, whether it will be handled internally by staff writers or outsourced to a professional company, like Webati. During the content creation process, you might want to consider drafting a brief for your primary content creator. In doing so, you will not have to worry about ideas, messages, or concepts becoming lost in the tumult of the creation process. Once your content has actually been created, determining how it will be distributed through various channels is going to be the next step in creating your content marketing campaign. There are going to be a number of different distribution channels, depending upon the content medium, for you to choose from. Each different channel that you choose to use should be noted on your editorial calendar. Bear in mind that promotion is what is going to drive traffic to your website, and it is going to backlink to the original content you have produced. Traditional public relations maneuvers and outreaches, as well as blogging outreaches, are going to be an invaluable component in providing your content with the exposure it needs, so do not neglect these traditional avenues. Additionally, do not forget to utilize social media platforms, like LinkedIn, Twitter, and Facebook, to your advantage. 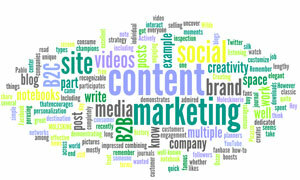 So you have put all of this effort into creating a successful content marketing campaign. It’s now time to begin measuring the results. Remember in the first part of this mini series how we talked about those benchmarks and how important it was to create them? After your campaign has launched, you can immediately begin measuring the results. Results measurement is going to be an ongoing process, but it is one that can be started right off the bat. Content marketing can be extremely profitable for a business if it is done the right way. If you are feeling overwhelmed with the idea of tackling all of this on your own or simply do not have the resources too, contact us here at Webati today. We work with businesses of all different sizes, and we can work with you to create a unique solution to fit your business’s unique needs.